Parallel Mandrel is also called as inspection mandrels and is used for checking concentricity, parallelism and true running of components. Mandrel mounted between centres provides a reference straight line joining the two points (centres), so as to check the alignment of the centres. Parallel mandrels are made of hardened and stabilised steel. 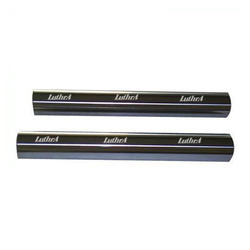 Mandrels are provided with properly ground and lapped centres for easy usage and accuracy. Looking for Parallel Mandrel ?